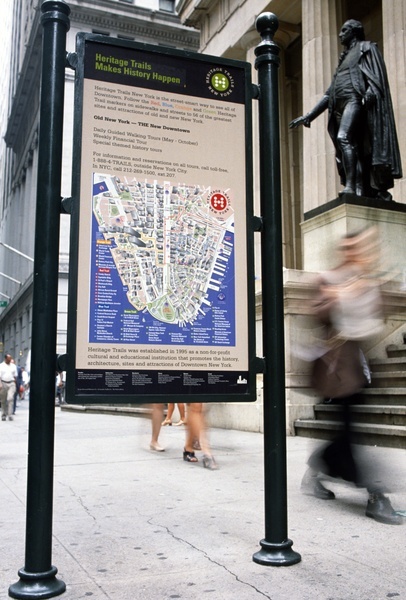 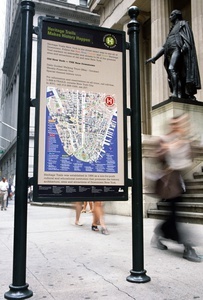 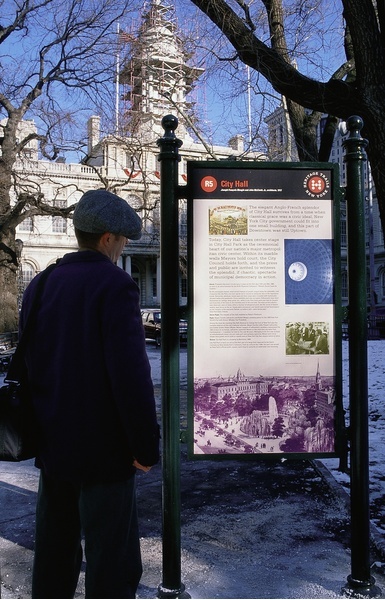 Heritage Trails, a system of walking trails in Downtown Manhattan, makes a neighborhood into an exhibit. 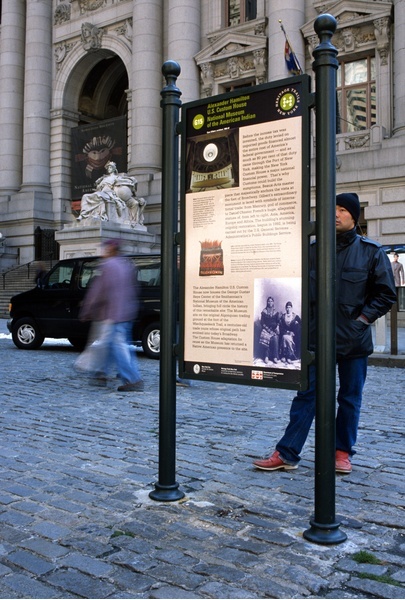 An interactive visitor center, located across from the New York Stock Exchange, allows both tourists and residents to preview different tours, schedule their day and learn about the sites along the trail. 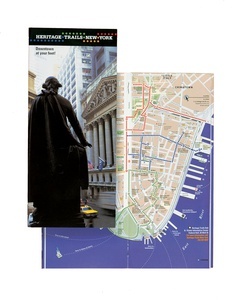 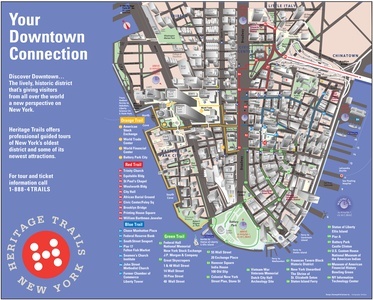 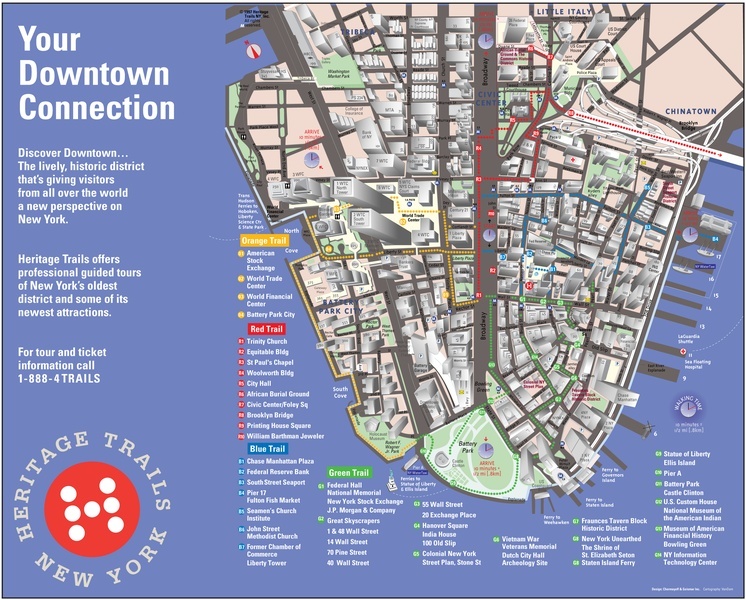 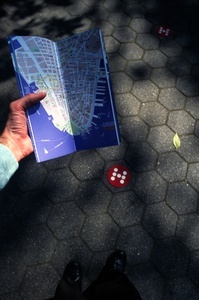 An illustrated guidebook gives walkers annotated maps and historical information about downtown Manhattan. The logotype by the design team is prominently featured on banners, kiosks, T-shirts, hats and other promotional materials.